Yasui Y, Shimozono Y, Hung CW, Wollstein A, Maragon A, Murawski CD, Gianakos A, Kennedy JG. Postoperative Reoperations and Complications in 32,307 Ankle Fractures with and without Concurrent Ankle Arthroscopic Procedures in a 5 Year Period Based on a Large United States Healthcare Database. J Foot Ankle Surg. in press. Hurley ET, Yasui Y, Gianakos AL, Seow D, Shimozono Y, Kerkhoffs GMMJ, Kennedy JG. Limited evidence for adipose-derived stem cell therapy on the treatment of osteoarthritis. Knee Surg Sports Traumatol Arthrosc. 2018 Apr 30. Yasui Y, Shimozono Y, Kennedy JG. Surgical Procedures for Chronic Lateral Ankle Instability. J Am Acad Orthop Surg. J Am Acad Orthop Surg. 2018 Apr 1;26(7):223-230. Hurley ET, Shimozono Y, McGoldrick NP, Myerson CL, Yasui Y, Kennedy JG. High reported rate of return to play following bone marrow stimulation for osteochondral lesions of the talus. Knee Surg Sports Traumatol Arthrosc. 2018 Mar 26. Sasaki G, Watanabe Y, Miyamoto W, Yasui Y, Morimoto S, Kawano H. Induced membrane technique using beta-tricalcium phosphate for reconstruction of femoral and tibial segmental bone loss due to infection: technical tips and preliminary clinical results. Int Orthop. 2018 Jan 42(1):17-24. Yasui Y, Ramponi L, Seow D, Hurley ET, Miyamoto W, Shimozono Y, Kennedy JG. Systematic review of bone marrow stimulation for osteochondral lesion of talus - evaluation for level and quality of clinical studies. World J Orthop. 2017 Dec 18;8(12):956-963. Shimozono Y, Coale M, Yasui Y, O’Halloran A, Deyer TW, Kennedy JG. Subchondral Bone Degradation Following Microfracture for Osteochondral Lesions of the Talus -An MRI Analysis- Am J Sports Med. 2017 Nov 1:363546517739606. Miyamoto W, Yasui Y, Miki S, Kawano H, Takao M. Endoscopic plantar fascia release via a suprafascial approach is effective for intractable plantar fasciitis. Knee Surg Sports Traumatol Arthrosc. 2017 Oct 14. Shimozono Y, Yasui Y, Ross AW, Miyamoto W, Kennedy JG. Scaffolds based therapy for osteochondral lesions of the talus: A Systematic review. World J Orthop. 2017 Oct 18;8(10):798-808. Sasaki G, Watanabe Y, Takaki M, Yasui Y, Miyamoto W, Kawano H, Matsushita T. Chipping and lengthening over nailing technique for femoral shaft nonunion with shortening. Int Orthop. 2017 Sep 41(9):1859-1864. Yasui Y, Tonogai I, Rosenbaum AJ, Shimozono Y, Kawano H, Kennedy JG. The Risk of Achilles Tendon Rupture in the Patients with Achilles Tendinopathy: Healthcare Database Analysis in the United States. Biomed Res Int. 2017:7021862. Seow D, Yasui Y (both first authors), Hurley ET, Ross AW, Christopher DM, Kennedy JG. Extracellular Matrix Cartilage Allograft and Particulate Cartilage Allograft for Osteochondral Lesions of the Talus: A Systematic Review. Am J Sports Med. 2017 Aug 1:363546517717494. Seow D, Yasui Y (both first authors), Hutchinson ID, Hurley ET, Shimozono Y, Kennedy JG. The Subchondral Bone Is Affected by Bone Marrow Stimulation: A Systematic Review of Preclinical Animal Studies. Cartilage. 2017 Jun 1. Ramponi L, Yasui Y (both first authors), Murawski CD, Ferkel RD, DiGiovanni CW, Kerkhoffs GMMJ, Calder JDF, Takao M, Vannini F, Choi WJ, Lee JW, Stone J, Kennedy JG. Lesion Size Is a Predictor of Clinical Outcomes After Bone Marrow Stimulation for Osteochondral Lesions of the Talus: A Systematic Review. Am J Sports Med. 2017 Jun 45(7):1698-1705. Yasui Y, Murawski CD, Wollstein A, Kennedy JG. Reoperation rates following ankle ligament procedures performed with and without concomitant arthroscopic procedures. Knee Surg Sports Traumatol Arthrosc. 2017 Jun 25(6):1908-1915. Matsui K, Oliva XM, Takao M, Pereira BS, Gomes TM, Lozano JM; ESSKA AFAS Ankle Instability Group, Glazebrook M. Bony landmarks available for minimally invasive lateral ankle stabilization surgery: a cadaveric anatomical study. Knee Surg Sports Traumatol Arthrosc. 2017 Jun;25(6):1916-1924. Matsui K, Takao M, Tochigi Y, Ozeki S, Glazebrook M. Anatomy of anterior talofibular ligament and calcaneofibular ligament for minimally invasive surgery: a systematic review. Knee Surg Sports Traumatol Arthrosc. 2017 Jun;25(6):1892-1902. Li HY, Yasui Y, Han SH, Miyamoto W, Hua YH. Achilles Tendinopathy: From the Basic Science to the Clinic. Biomed Res Int. 2017:9534125. Michels F, Pereira H, Calder J, Matricali G, Glazebrook M, Guillo S, Karlsson J; ESSKA-AFAS Ankle Instability Group, Acevedo J, Batista J, Bauer T, Calder J, Carreira D, Choi W, Corte-Real N, Glazebrook M, Ghorbani A, Giza E, Guillo S, Hunt K, Karlsson J, Kong SW, Lee JW, Michels F, Molloy A, Mangone P, Matsui K, Nery C, Ozeki S, Pearce C, Pereira H, Perera A, Pijnenburg B, Raduan F, Stone J, Takao M, Tourné Y, Vega J. Searching for consensus in the approach to patients with chronic lateral ankle instability: ask the expert. Knee Surg Sports Traumatol Arthrosc. 2017 Apr 25. Shimozono Y, Yasui Y, Ross AW, Kennedy JG. Osteochondral lesions of the talus in the athlete: up to date review. Curr Rev Musculoskelet Med. 2017 Mar 10(1):131-140. Yasui Y, Tonogai I, Rosenbaum AJ, Moore DM, Takao M, Kawano H, Kennedy JG. Use of the arthroereisis screw with tendoscopic delivered platelet-rich plasma for early stage adult acquired flatfoot deformity. Int Orthop. 2017 Feb 41(2):315-321. Gianakos AL, Yasui Y, Hannon CP, Kennedy JG. Current management of talar osteochondral lesions. World J Orthop. 2017 Jan 18;8(1):12-20. Yasui Y, Ross AW, Kennedy JG. Platelet-Rich Plasma and Concentrated Bone Marrow Aspirate in Surgical Treatment for Osteochondral Lesions of the Talus. Foot Ankle Clin. 2016 Dec 21(4):869-884. Yasui Y, Hannon CP, Seow D, Kennedy JG. Ankle arthrodesis: A systematic approach and review of the literature. World J Orthop. 2016 Nov 18;7(11):700-708. eCollection 2016 Nov 18. Review. Yasui Y, Hannon CP, Hurley E, Kennedy JG. Posterior ankle impingement syndrome: A systematic four-stage approach. World J Orthop. 2016 Oct 18;7(10):657-663. Gianakos AL, Yasui Y, Fraser EJ, Ross KA, Prado MP, Fortier LA, Kennedy JG. The Effect of Different Bone Marrow Stimulation Techniques on Human Talar Subchondral Bone: A Micro-Computed Tomography Evaluation. Arthroscopy. 2016 Oct 32(10):2110-2117. Fraser EJ, Savage-Elliott I, Yasui Y, Ackermann J, Watson G, Ross KA, Deyer T, Kennedy JG. Clinical and MRI Donor Site Outcomes Following Autologous Osteochondral Transplantation for Talar Osteochondral Lesions. Foot Ankle Int. 2016 Sep 37(9):968-76. Yasui Y, Ross AW, Murawski CD, Kennedy JG. Authors' Reply. Arthroscopy. 2016 Aug 32(8):1491-3. Yasui Y, Vig KS, Murawski CD, Desai P, Savage-Elliott I, Kennedy JG. Open Versus Arthroscopic Ankle Arthrodesis: A Comparison of Subsequent Procedures in a Large Database. J Foot Ankle Surg. 2016 Jul-Aug 55(4):777-81. Shimozono Y, Takao M, Miyamoto W, Yasui Y, Kawano H. Endoscopic treatment for intratendinous ganglion of the flexor hallucis longus tendon. J Orthop Sci. 2016 Jun 18. Glazebrook M, Stone J, Matsui K, Guillo S, Takao M; ESSKA AFAS Ankle Instability Group. Percutaneous Ankle Reconstruction of Lateral Ligaments (Perc-Anti RoLL). Foot Ankle Int. 2016 Jun;37(6):659-64. Yasui Y, Wollstein A, Murawski CD, Kennedy JG. Operative Treatment for Osteochondral Lesions of the Talus: Biologics and Scaffold-Based Therapy. Cartilage. 2017 Jan 8(1):42-49. Epub 2016 May 9. Review. Yasui Y, Takao M, Miyamoto W, Matsushita T. Plantar fibromatosis with flexion contracture and valgus deformity of the great toe. J Orthop Sci. 2016 May 21(3):395-8. Yasui Y, Murawski CD, Wollstein A, Takao M, Kennedy JG. Operative Treatment of Lateral Ankle Instability. JBJS Rev. 2016 May 31;4(5). Dombrowski ME, Murawski CD, Yasui Y, Chen AF, Kennedy JG, Honan MV. Co-Morbidities Are Associated with Increased Cost, Infection Rates, and Duration of Treatment after Primary Achilles Tendon Repair. The American Orthopaedic Foot & Ankle Society meeting 2016. Dalmau-Pastor M, Yasui Y, Calder JD, Karlsson J, Kerkhoffs GM, Kennedy JG. Anatomy of the inferior extensor retinaculum and its role in lateral ankle ligament reconstruction: a pictorial essay. Knee Surg Sports Traumatol Arthrosc. 2016 Apr 24(4):957-62. Kennedy JG, van Dijk PA, Murawski CD, Duke G, Newman H, DiGiovanni CW, Yasui Y. Functional outcomes after peroneal tendoscopy in the treatment of peroneal tendon disorders. Knee Surg Sports Traumatol Arthrosc. 2016 Apr 24(4):1148-54. Gianakos A, Yasui Y, Murawski CD, Kennedy JG. Effects of gastrocnemius recession on ankle motion, strength, and functional outcomes: a systematic review and national healthcare database analysis. Knee Surg Sports Traumatol Arthrosc. 2016 Apr 24(4):1355-64. Yasui Y, Freser EJ, Marangon A, Kennedy JG. First Metatarsophalangeal Joint Arthroscopy. Arthroscopic Surgical Techniques, Chapter: 22, Publisher: SLACK Incorporated and AANA. 2016, Feb 207-219. Matsui K, Burgesson B, Takao M, Stone J, Guillo S, Glazebrook M; ESSKA AFAS Ankle Instability Group. Minimally invasive surgical treatment for chronic ankle instability: a systematic review. Knee Surg Sports Traumatol Arthrosc. 2016 Apr;24(4):1040-8. Takao M, Matsui K, Stone JW, Glazebrook MA, Kennedy JG, Guillo S, Calder JD, Karlsson J; Ankle Instability Group. Arthroscopic anterior talofibular ligament repair for lateral instability of the ankle. Knee Surg Sports Traumatol Arthrosc. 2016 Apr;24(4):1003-6. Matsui K, Takao M, Miyamoto W, Matsushita T. Early recovery after arthroscopic repair compared to open repair of the anterior talofibular ligament for lateral instability of the ankle. Archives of Orthopaedic and Trauma Surgery 2015 Oct 14. Miyamoto W, Takao M, Miki S, Giza E. Tendoscopic Repair of the Superior Peroneal Retinaculum via 2 Portals for Peroneal Tendon Instability. Foot Ankle Int. 2015 Oct;36(10):1243-50. Miyamoto W, Takao M, Innami K, Miki S, Matsushita T. Ligament reconstruction with single bone tunnel technique for chronic symptomatic subtle injury of the Lisfranc joint in athletes. Arch Orthop Trauma Surg. 2015 Aug;135(8):1063-70. Miyamoto W, Takao M, Matsui K, Matsushita T. Simultaneous ankle arthroscopy and hindfoot endoscopy for combined anterior and posterior ankle impingement syndrome in professional athletes. J Orthop Sci 2015 Jul;20(4):642-8. Miyamoto W, Takao M, Matsui K, Matsushita T. Fixation for avulsion fracture of the calcaneal tuberosity using a side-locking loop suture technique and anti-slip knot. Foot Ankle Int. 2015 May;36(5):603-7. Miyamoto W, Takao M, Matsushita T. Hindfoot endoscopy for posterior ankle impingement syndrome and flexor hallucis longus tendon disorders. Foot and Ankle Clinics 2015 Mar;20(1):139-47. Matsui K, Takao M, Miyamoto W, Innami K, Matsushita T. Arthroscopic Broström repair with Gould augmentation via an accessory anterolateral port for lateral instability of the ankle. Arch Orthop Trauma Surg. 2014 Oct;134(10):1461-7. Sasahara J, Takao M, Miyamoto W, Oguro K, Matsushita T. Partial harvesting technique in anterior cruciate ligament reconstruction with autologous semitendinosus tendon to prevent a postoperative decrease in deep knee flexion torque. The Knee. 2014 Oct;21(5):936-43. Yasui Y, Takao M, Miyamoto W, Matsushita T. Simultaneous surgery for chronic lateral ankle instability accompanied by only subchondral bone lesion of talus. Arch Orthop Trauma Surg. 2014 Jun 134(6):821-7. Miyamoto W, Takao M, Yamada K, Matsushita T. Accelerated Versus Traditional Rehabilitation After Anterior Talofibular Ligament Reconstruction for Chronic Lateral Instability of the Ankle in Athletes. Am J Sports Med. 2014 Apr 10;42(6):1441-7. Miyamoto W, Takao M, Yasui Y, Miki S, Matsushita T. Endoscopic Surgery for Symptomatic Unicameral Bone Cyst of the Proximal Femur. 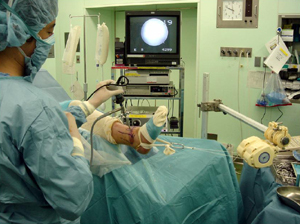 Arthroscopy Techniques. 2013. Nov 8;2(4):e467-71. Miyamoto W, Takao M, Matsushita T. Anterior fibrous bundle: a cause of residual pain and restrictive plantar flexion following ankle sprain. 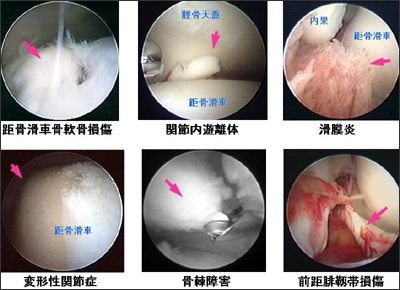 Knee Surg Sports Traumatol Arthrosc 2013 Jun;21(6):1385-9. Miyamoto W, Takao M, Matsushita T. Reconstructive surgery using autologous bone-patellar tendon graft for insertional Achilles tendinopathy. Knee Surg Sports Traumatol Arthrosc 2012 Sep;20(9):1863-7. Miyamoto W, Takao M, Yamada K, Yasui Y, Matsushita T. Reconstructive surgery using interference screw fixation for painful accessory navicular in adult athletes. Arch Orthop Trauma Surg. 2012 Oct 132(10):1423-7. Imajima Y, Takao M, Miyamoto W, Imade S, Nishi H, Uchio Y. Mid-term outcome of talocalcaneal coalition treated with interposition of a pedicle fatty flap after resection. Foot Ankle Int. 2012 Mar;33(3):226-30. Imade S, Miyamoto W, Sanada H, Mori R, Uchio Y. Nonunion in proximal phalanx of great toe treated by grafting with precisely processed autologous bone peg. Journal of Foot and Ankle Surgery. 2011 Jul-Aug;50(4):449-52. Takao M, Miyamoto W, Matsui K, Sasahara J, Matsushita T. Functional treatment after surgical repair for acute lateral ligament disruption of the ankle in athletes. Am J Sports Med. 2012 Feb;40(2):447-51. 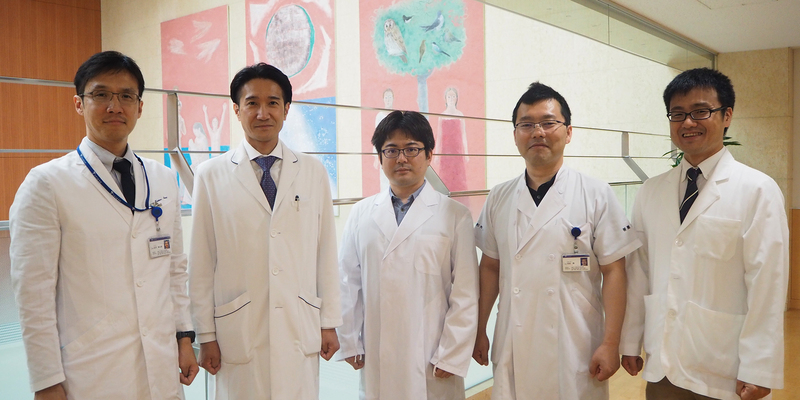 Komatsu F, Takao M, Innami K, Miyamoto W, Matsushita T. Endoscopic surgery for plantar fasciitis: application of a deep-fascial approach. Arthroscopy 2011 Aug;27(8):1105-9. Innami K, Takao M, Miyamoto W, Abe S, Nishi H, Matsushita T. Endoscopic surgery for young athletes with symptomatic unicameral bone cyst of the calcaneus. Am J Sports Med. 2011 Mar;39(3):575-81. 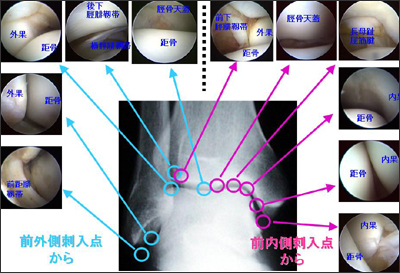 Yasui Y, Takao M, Miyamoto W, Innami K, Komatsu F, Narita N, Matsushita T. Technique tip: open ankle athrodesis using locking compression plate combined with anterior sliding bone graft. Foot Ankle Int. 2010 Dec 31(12):1125-8. Yasui Y, Takao M, Miyamoto W, Innami K, Matsushita T. Anatomical reconstruction of the anterior inferior tibiofibular ligament for chronic disruption of the distal tibiofibular syndesmosis. Knee Surg Sports Traumatol Arthrosc. 2011 Apr 19(4):691-5. Miyamoto W, Takao M, Innami K, Yasui Y, Matsushita T. Technique tip: interposition of extensor digitorum longus after resection arthroplasty of lesser metatarsophalangeal joints for rheumatoid forefoot deformity. Foot Ankle Int. 2011 Feb 32(2):211-4. Kubo M, Miyamoto W, Takao M, Yasui Y, Innami K, Matsushita T. Valgus deformity of the great toe interphalangeal joint treated by reversed sliding osteotomy of the proximal phalanx: a case report. Foot Ankle Int. 2011 Apr 32(4):448-51. Miyamoto W, Takao M. Management of chronic disruption of the distal tibiofibular syndesmosis. World J Orthop 2011 Jan 18;2(1):1-6. Yotsumoto T, Miyamoto W, Uchio Y. Novel approach to repair of acute achilles tendon rupture: early recovery without postoperative fixation or orthosis. Am J Sports Med. 2010 Feb;38(2):287-92. Takao M, Ochi M, Naito K, Iwata A, Kawasaki K, Tobita M, Miyamoto W, Oae K. Arthroscopic diagnosis of tibiofibular syndesmosis disruption. Arthroscopy 2001 Oct;17(8):836-43. Miyamoto W, Takao M, Komatu F, Uchio Y. Reconstruction of the superior peroneal retinaculum using an autologous gracilis tendon graft for chronic dislocation of the peroneal tendons accompanied by lateral instability of the ankle: technical note. Knee Surg Sports Traumatol Arthrosc 2007 Apr;15(4):461-4. Miyamoto W, Takao M, Komatu F, Uchio Y. Nonunion of an atypical distal fibular fracture in a 13-year-old boy and its treatment by reconstructive osteotomy: a case report. Foot Ankle Int. 2007 Sep;28(9):1026-9. Takao M, Komatsu F, Oae K, Miyamoto W, Uchio Y, Ochi M, Matsushita T. Proximal oblique-domed osteotomy of the first metatarsal for the treatment of hallux valgus associate with flat foot: effect to the correction of the longitudinal arch of the foot. Arch Orthop Trauma Surg. 2007 Oct;127(8):685-90. Miyamoto W, Takao M, Uchio Y, Ochi M. Technique tip: interposition of the pedicle fatty flap after resection of the talocalcaneal coalition. Foot Ankle Int. 2007 Dec;28(12):1298-300. Miyamoto W, Yamamoto S, Uchio Y. Metastasis of gastric cancer to the fifth metacarpal bone. Hand Surgery 2008;13(3):193-5. Miyamoto W, Takao M, Komatu F, Uchio Y. Technique tip: the bandage distraction technique for arthroscopic arthrodesis of the ankle joint. Foot Ankle Int. 2008 Feb;29(2):251-3. Miyamoto W, Takao M, Nishiguchi K, Uchio Y. Technique tip: a radiographic projection for an avulsion fracture of the talar attachment of the anterior talofibular ligament. Foot Ankle Int. 2008 Apr;29(4):435-7. Miyamoto W, Takao M, Uchio Y, Kono T, Ochi M. Late-stage Freiberg disease treated by osteochondral plug transplantation: a case series. Foot Ankle Int. 2008 Sep;29(9):950-5. Miyamoto W, Yamamoto S, Kii R, Uchio Y. Vascular leiomyoma resulting in ulnar neuropathy: case report. Journal of Hand Surgery Am. 2008 Dec;33(10):1868-70. Miyamoto W, Yamamoto S, Inoue T, Uchio Y. False aneurysm of a proper digital artery caused by repetitive microtrauma in a 16-year-old baseball player. Arch Orthop Trauma Surg. 2009 Jan;129(1):61-4. Imade S, Takao M, Miyamoto W, Nishi H, Uchio Y. Leg anterior compartment syndrome following ankle arthroscopy after Maisonneuve fracture. Arthroscopy 2009 Feb;25(2):215-8. Miyamoto W, Yamamoto S, Kii R, Uchio Y. Oblique osteochondral plugs transplantation technique for osteochondritis dissecans of the elbow joint. Knee Surg Sports Traumatol Arthrosc 2009 Feb;17(2):204-8. Nishimura K, Mori R, Miyamoto W, Uchio Y. A new technique for small and secure knots using slippery polyethylene sutures. Clinical Biomechanics (Bristol, Avon) 2009 May;24(4):403-6. Kono M, Miyamoto W, Imade S, Uchio Y. Intratendinous ganglion in the extensor digitorum brevis tendon. Journal of Orthopaedic Science 2009 Sep;14(5):666-8. Miyamoto W, Takao M, Uchio Y. Calcaneal osteotomy for the treatment of plantar fasciitis. Arch Orthop Trauma Surg. 2010 Feb;130(2):151-4. Copyright © Teikyo University School of Medicine. All rights reserved.